I bought a stack of Moda Twenty Three fat quarters at my local quilt shop and just had to tear into them. 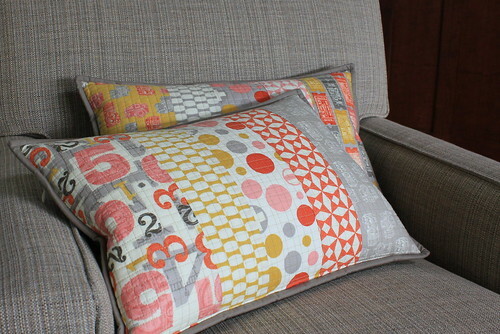 I needed a few lumbar pillows for my side chairs and thought this color palette would spice up my neutral upholstery. I'm pleased with the results. I used down pillow inserts purchased from Crate and Barrel. These measure 20" x 13" and the inserts retail for just $10.00 each. I think that's a pretty good deal for down. I've quilted both the fronts and the backs with some loose, straight line quilting using white thread. This technique is a bit time consuming but it is relaxing, mindless work and I like how it turns out. 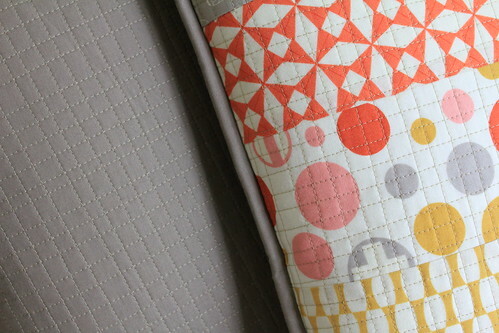 LOVE these, do you put in a zipper on your pillows and if so a tutorial? God, I HATE putting in a zipper! These are gorgeous! 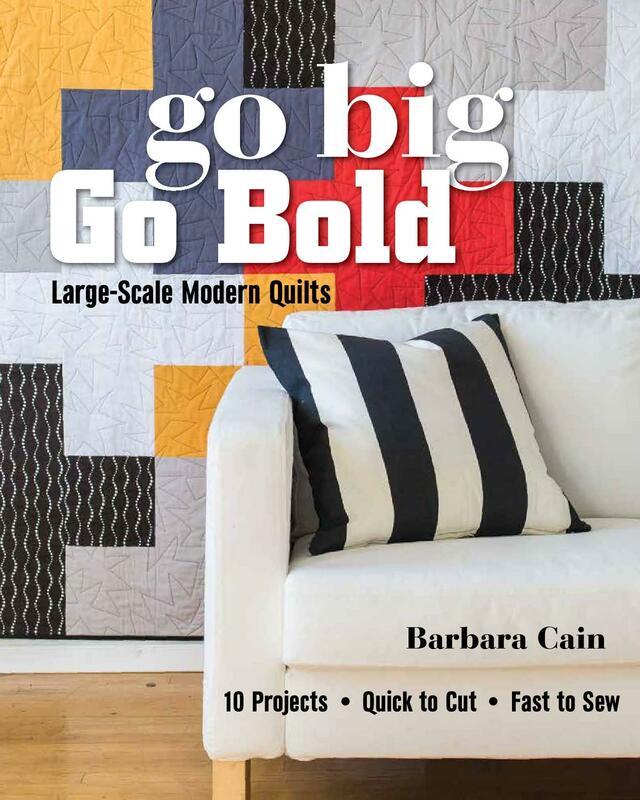 So sharp and pretty, especially with your quilting , B! Wow, B! These are really sophisticated and appealing! The quilting is so awesome, too! Very Nicely Done! I really love your quilting! !